You can expect reliable results no matter what you're preparing when you use the eight oven functions available in the main oven cavity, including a defrost setting, a pizza function, fan heating and more. You can also prepare deliciously crispy meats and vegetables on the full width variable grill, which allows you added flexibility when it comes to your meal preparations. 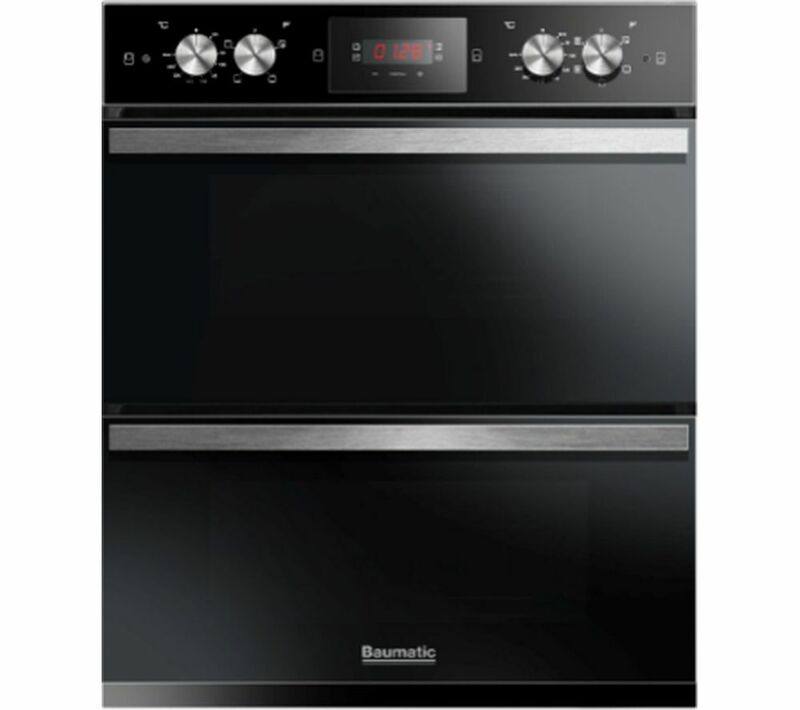 Take the hassle out of keeping your Baumatic BODM754B Double Oven clean with the fully removable double glazed door glass. Simply remove the glass to wash more thoroughly at the sink and reach those trickier spaces for easier cleaning. Plus you can prevent accidents and burns, especially when young children are around the kitchen, with the double glazed door glass which retains heat inside the oven and leaves the outer surface cool to the touch. Save for the things you really love and stay kind to the environment as this appliance features an A energy efficacy rating, which will reduce you household utility bills.